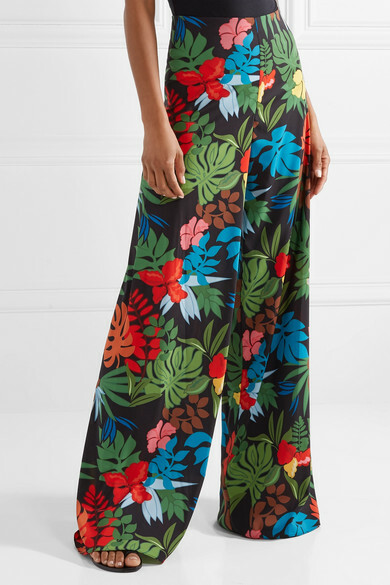 Designed in a dramatic wide leg silhouette, Alice + Olivia's 'Athena' pants evoke the label's signature lighthearted flair. 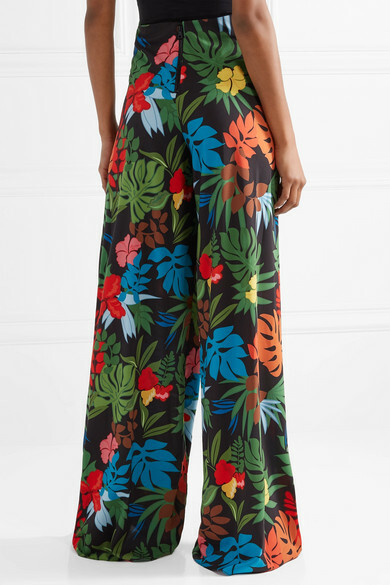 This high-rise pair is made from fluid georgette and adorned with a tropical print of palm fronds and flowers. 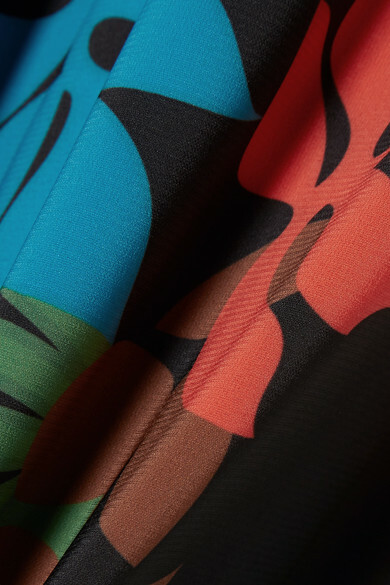 Wear them with a bodysuit or cropped top to emphasize the breezy shape. 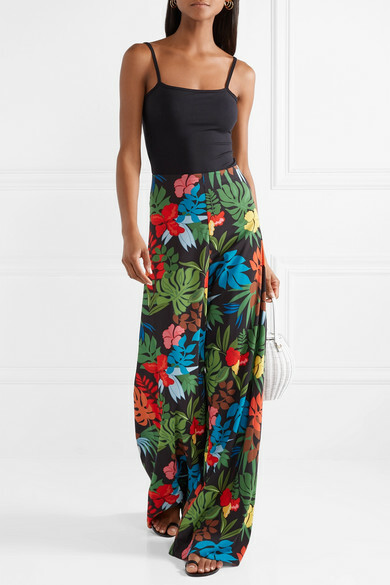 Shown here with: ATM Anthony Thomas Melillo Bodysuit, Ulla Johnson Shoulder bag, ATP Atelier Sandals, Sophie Buhai Earrings.